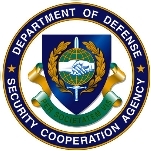 The Defense Security Cooperation Agency (DSCA) works with many agencies in the Department of Defense (DoD) and the Department of State to provide financing, resources and/or contractors for the sale of arms, defense technologies, training and other services to foreign governments. This agency was created to work towards security cooperation with other nations and has meant the controversial proliferation of arms and military training to non-democratic, oppressive governments. Prohibitions on arms sales and training are removed as they double international revenue for U.S. contractors and support U.S. national interests. The Foreign Assistance Act of 1961 authorized a variety of aid, including foreign military sales and international military training. Section 502B of this Act explicitly states that the U.S. may not assist governments involved in consistent gross human rights violations. However the President can waive this prohibition in “extraordinary circumstances.” The Arms Export Control Act of 1976 was created to limit and further regulate the sale of U.S. arms. This act also prohibited military assistance to countries in violation of nuclear weapons control. The “Leahy Amendments” are provisions to Congress’ annual Foreign Operations Appropriations Act that provide human rights-based restrictions for military sales or training assistance. After the terrorist attacks of September 11, 2001, Public Law 107-57 suspended sanctions on and expedited military assistance to Pakistan and other previously marked countries as part of the Bush administration’s efforts to fight terrorism. The FMS allows for the sale of U.S. defense equipment and services with the objective of strengthening bilateral relationships, protecting U.S. national interests and increasing interoperability of U.S. military forces with foreign allies. It also provides the training to operate and maintain sophisticated U.S. weapons. Weapons are given from the stock of arms the DoD already has or new equipment through a U.S. contractor. The FMS is conducted using cash or FMS financing (FMF)-congressionally appropriated grants and loans given to foreign governments. The FMS is operated by the DoD on a no-profit, no-loss basis. Countries usually pay a fee price ($15,000 or 3.8% of item and service cost) for the articles or services to recoup costs to the United States to administer the program. A country can request to participate in this program by sending a Letter of Request (LOR) to the U.S. representative contact, who then forwards it to the Department of State Bureau of Politico-Military Affairs and the Defense Security Cooperation Agency. The official LOR is sent to the DoD Military Department, which then responds in the form of Price and Availability information or a Letter of Offer and Acceptance (LOA). It is also required by law to publicly announce FMS major arms sales. The controversial participation of countries as part of the U.S. coalition to fight terrorism has led to the provision of military assistance to nations previously targeted as violators of human rights or nuclear weapons controls (Pakistan and India). The DSCA currently oversees 12,954 active FMS cases valued at $342 billion. The IMET is conducted solely on a grant basis and provides U.S. training of foreign military personnel. It was established in 1976 to provide leadership and management services to top foreign military officers from countries incapable of paying for training under the Foreign Assistance Act. The goal of the IMET is to allow the U.S. more influence diplomatically and militarily in foreign countries. Some of these countries receiving assistance are controversial because they cannot be categorized as friendly, democratic nations. These nations include Egypt, Sudan, Yemen, and Libya. Professional Military Education (PME) - Prepares military officers for leadership, although many students attend on an invitation basis only. The DSCA houses the DoD’s humanitarian programs as part of its security cooperation to provide regional stability and promote U.S. interests. The programs within the HDM provides emergency response, providing medical and infrastructure basic necessities along with providing U.S. trained forces to detect and eliminate mines. Foreign Disaster Relief and Emergency Response provides immediate assistance to crises such as the January 2008 Bolivian flood. Humanitarian Assistance Program was authorized by Congress in 1986 to transport Department of Defense non-lethal property and privately donated relief material. Recent humanitarian assistance programs include the building of a primary school in Rwanda or providing medical services to Haiti. The Humanitarian Mine Action program trains host nations in landmine clearance, mine risk education, and victims assistance. Armed forces members cannot participate in detection or clearance of mines unless authorized by a U.S. military operation. The Defense Security Cooperation Agency (DSCA) has spent nearly $19 million on 22 contractor transactions between FY 2002 and 2012, according to USASpending.gov. The top four types of services or products purchased by DSCA were aircraft maintenance and repair ($15,457,558), program management/support ($3,512,452), recreational and gymnastic equipment ($11,255), and office furniture ($5,498). The Defense Security Cooperation Agency (DSCA) prepared in 2012 to sell more than 40 F-35A fighter aircraft to Japan, which began to have second thoughts once it received the price tag: $10 billion. Under the terms of the deal, the DSCA would sell four F-35s to the Japanese military, with an option to purchase another 38 aircraft down the line. But at a total cost of $10 billion, each plane was estimated to be $238 million. The plane’s manufacturer, Lockheed Martin, said at one time that each plane would only cost $75 million. But that figure was based on the assumption that Lockheed Martin would eventually sell 3,100 F-35s to the U.S and other governments. Japanese officials said in February 2012 that rising costs associated with the F-35 could result in them canceling their planned order. However, in June 2012, Japan signed a formal arrangement to purchase the first four of the planes. The government of South Korea cried foul in September 2011 after the DSCA reportedly raised the price on unmanned surveillance drones that were supposed to be sold to the Asian ally. South Korean officials claimed the DSCA originally told them that purchasing four Global Hawk aircraft would cost nearly $380 million each. But then the price jumped to $795 million, which prompted South Korea to threaten canceling the deal unless the DSCA lowered its estimate. The South Koreans were suspicious that the U.S. was boosting the price because the aircraft will have become a must-have by 2015, when the U.S. hands over control of military operations in South Korea. By 2012, South Korea was being quoted even estimates for Global Hawks. This time, the price of each drone was reportedly $846 million. US Foreign Military Sales Top $65 Billion (by Sydney J. Freedberg Jr.
Arms Sold to Turkey Used Against Kurds? Possible arms deals between the United States and Turkey in 2011 and 2012 sparked debate over whether the weaponry would be used by the Turkish military to attack Kurdish rebels. In October 2011, the Defense Security Cooperation Agency (DSCA) told Congress of its plans to sell three AH-1W Super Cobra helicopters to Turkey. Turkish diplomats did not hide the fact that their government wanted the aircraft to combat Kurdish guerrillas. In addition, U.S. defense officials began lobbying lawmakers to approve another sale of a dozen Predator or Reaper unmanned aerial vehicles to Turkey. Again, the Turkish military planned to use the drones to go after Kurds hiding in the mountains along the Turkey-Iraq border. A U.S. Predator drone, under Turkish control, was used in December 2011 to kill 34 civilians who were smuggling gas at the border. In May 2012, Turkey was again talking to the U.S. about buying $4 million worth of Predator or $30 million in Reaper drones armed with Hellfire missiles and laser-guided bombs for use against Kurdish guerrillas. Under the Obama administration the Defense Security Cooperation Agency (DSCA) proposed a controversial sale to the government of Bahrain, which was condemned internationally for cracking down on pro-democracy demonstrators. In September 2011, the administration said it wanted to sell Bahrain 44 armored, high-mobility Humvees and more than 300 advanced missiles for $53 million for the sake of the security of an ally. Human rights groups and members of Congress criticized the proposed sale, citing the possible misuse of such arms against citizens and Bahrain’s arrests and misuse of force against protesters. In one incident, seven were killed and 200 injured. U.S. Senator Ron Wyden (D-Oregon) and Representative Jim McGovern (D-Massachusetts) each introduced a resolution in the House and Senate, respectively, to prevent the sale from going through. The administration then decided to take a quieter approach to the deal. Officials said a new package would be put together, but that the details would be kept under wraps and that the administration would use loopholes in federal law, such as breaking up the sale into smaller allotments, to avoid notifying Congress. The DSCA announced a controversial arms deal for Taiwan in 2010 that provoked an angry reaction from the government of China. Valued at $6.4 billion, the package of military hardware included Patriot advanced capability (PAC-3) missiles along with radar sets and related equipment. Other weapons included UH-60M Blackhawk helicopters, Osprey class mine hunting ships, Multifunction Information Distribution Systems terminals, and Harpoon telemetry missiles. The Chinese government responded to the proposed deal by accusing the Obama administration of interfering in China’s internal affairs (due to the fact that Beijing had refused to acknowledge Taiwan’s sovereignty). Beijing also suspended some U.S.-China military-to-military exchanges and threatened to impose sanctions on the U.S. companies that made the systems being sold to Taiwan. The following year the Obama administration decided to sell Taiwan equipment so it could upgrade its aging fleet of F-16 A/B fighters. The Taiwanese government also wanted to purchase new F-16 C/D models, but U.S. officials rejected that request, which was viewed as a capitulation to Communist China. The government of Peru complained in 2009 about sales of weapons by the DSCA to Chile. In November, DSCA announced that it was planning to sell three military systems to Chile: Sentinel radars, the Avenger air defense system, and AMRAAM missiles. The situation over the arms sales was exacerbated by another controversy involving a Peruvian military official being arrested by his government on grounds that he had been spying on behalf of Chile. Three years later, the DSCA entertained a request from Peru to purchase four NATO Seasparrow MK57 MOD 10 systems. Peru wanted the missiles for its fleet of Italian-made frigates. Global Hawk, one of the U.S. military’s most sophisticated unmanned aircrafts, created a stir in Australia after a media report said the drones, based out of the country, were on secret missions. Foreign Correspondent, an Australian news program, reported the U.S. flew classified Global Hawk missions from the Royal Australian Air Force base at Edinburgh in South Australia from late 2001 until at least 2006. The clandestine missions were detected by a group of Australian aviation historians, one of whom spent 20 hours a day monitoring aircraft radio frequencies. The West Beach Aviation Group monitored the flights until Australian defense security officials told them not to reveal the presence of the Global Hawks. That demand was later changed to not revealing information about Australian aircraft. With the Iraq War over and the conflict in Afghanistan winding down, the Henry L. Stimson Center proposed in 2011 that the U.S. government begin reforming its security assistance programs. The center argued that U.S. security assistance should be reoriented around the objective of “effective, efficient, and accountable governance.” This way security assistance would be linked to building “effective state institutions that can provide internal and border security; protect the rule of law, including adhering to internationally recognized standards of human rights; support a duly constituted, responsive government; meet the needs of the citizens; and facilitate social and economic development,” the center wrote in its report. The federal government devoted $18.8 billion in fiscal year 2012 for various security cooperation and assistance programs that supply military equipment and training to more than 100 countries, according to a November report from the Government Accountability Office (GAO). Congress, however, was concerned that the Department of Defense, including the Defense Security Cooperation Agency (DSCA), was acting too slow in providing security assistance. So lawmakers established several new programs in recent years. The GAO examined these programs and the work of the Pentagon and the DSCA. It recommended that the defense secretary establish procedures to ensure that his department enters needed acquisition and delivery status data into security assistance information systems. The GAO also called for establishing performance measures to assess timeliness for additional phases of the security assistance process. As the world’s leading arms supplier, the United States has been called upon numerous times to qualify its weapons deals by truly factoring in the human rights records of countries buying U.S. hardware, as stipulated in writing by the U.S. Foreign Assistance Act. Following the democratic uprising in Bahrain, and that country’s subsequent crackdown on demonstrators, the Arms Control Association (ACA) advocated for the U.S. government to actually follow a human rights policy when it comes to the DSCA formulating arms deals with foreign governments. The ACA argued the Obama administration should support the inclusion of strong language in a new Arms Trade Treaty that requires states not to transfer military goods to governments that fail to respect human rights. “Prevention of human rights abuses can be mitigated at the earliest stages if arms sales are better scrutinized and held to a higher standard,” wrote Xiaodon Liang for Arms Control NOW, the association’s blog. “If that lesson fails to resonate in Washington, the United States will repeatedly find itself in the awkward position of claiming to ‘always serve as a voice for those who have been silenced’ as President Obama did today at the United Nations, while foreign security personnel scramble out of American-made armored vehicles on their way to silencing those very dissident voices,” Liang added. Vice Admiral Joseph W. Rixey took over as director of the Defense Security Cooperation Agency (DSCA) on September 6, 2013. He is responsible for the office that coordinates efforts by the Department of Defense and the State Department to provide financing and resources for the sale of arms, defense technologies, training and other services to foreign governments. Rixey was born in Monterey, California, to a Navy family. His father, Charles W. Rixey, began his naval career in the enlisted ranks and eventually made rear admiral. Joseph Rixey graduated from Fort Hunt High School in Alexandria, Virginia, in 1978. He also began as an enlisted man, joining the Navy that year. He was sent to the Naval Academy Preparatory School and subsequently attended the U.S. Naval Academy at Annapolis, where he played rugby. He graduated in 1983. In 1986, Rixey was designated as a naval aviator. He spent much of his career in maritime patrol, including anti-submarine work. He also did a stint on the USS Constellation aircraft carrier as a catapult and arresting gear officer and assistant air officer. Rixey earned an M.S. in aeronautical engineering in 1992 from the Naval Post-Graduate School in Monterey. Two of his subsequent assignments were training systems program manager for the P-3 Orion patrol aircraft and deputy program manager of the Navy’s Multimission Maritime Aircraft program to replace the P-3, which turned out to be the P-8 Poseidon, a derivative of the 737 airliner. More recently, Rixey was deputy program executive officer of Air Anti-Submarine Warfare and Advanced Sensors Programs and vice commander of Space and Naval Warfare Systems Command. His last assignment before moving to DSCA was as deputy assistant secretary of the Navy for International Programs and director of the Navy International Programs Office. Rixey and his wife, Kathy, have four children. Their son Chris, a 2014 Naval Academy graduate, is an officer in the Marine Corps. Vice Admiral William E. “Bill” Landay III of the U.S. Navy has served as director of the Defense Security Cooperation Agency (DSCA) since August 2010. The DSCA oversees the sale of arms, defense technologies, training and other services to foreign governments, which has put it in the awkward position of trying to increase profits for U.S. weapons makers even if some of the regimes are less than democratic. Landay holds a Bachelor of Science degree in systems engineering from the U.S. Naval Academy (1978). He also has a Master of Science degree in systems technology (C4I) from the Naval Postgraduate School, and is a graduate of the Program for Management Development at the Harvard Business School. Also, Landay was the 1998-1999 Navy Fellow in the Defense Systems Management College, Military Research Fellowship Program. He is a level three certified acquisition professional and a proven subspecialist in C4I Systems. His first naval assignment was as gunnery assistant and combat information center officer aboard the USS Hepburn. Subsequent sea tours included ship control officer aboard the USS Nicholas, commanding officer of the USS Aquila and commanding officer of the USS Paul Hamilton. Ashore, Landay has served as a team training instructor and Harpoon course director at Fleet Combat Training Center, Pacific; and C4I program officer and executive assistant to the director of Command, Control, Communications and Computer Systems at the U.S. Transportation Command. His acquisition tours included assignment as surface, strike and underwater warfare manager and fleet support officer in the Aegis Program Office; executive assistant to the commander of Naval Sea Systems Command; major program manager for fleet and lifetime support in the Program Executive Office for Theater Surface Combatants; and executive assistant and naval aide to John Young, the assistant secretary of the navy for research, development and acquisition. In his first assignment as a flag officer, on February 27, 2004, Landay took over as the program executive officer for littoral and mine warfare. In 2006, he became the 21st Chief of Naval Research. In January 2008, he also assumed the duties of the deputy commandant of the U.S. Marine Corps for science and technology and director of test and evaluation and technology requirements. 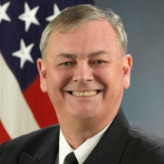 From August 2008 until taking over the leadership of DSCA, Landay was the program executive officer for ships, responsible for all non-nuclear shipbuilding programs. He is married to Tess Landay.